Hammocks are unbelievably fun and thrilling to use for a nap or rest during camping and other outdoor activities but that’s not where their benefits end, they are extremely comfortable and way cheaper than most tents. The Serac Classic Hammock is one of the most popular hammocks in the market today and its popularity is reasonable with its high-quality design and affordable price. If you are looking for a great deal on a hammock then we suggest you check out this product. Read on to find out if this hammock truly is worth your time and money. Q: Can I use this instead of a tent? Q: Will this protect me against bugs? Q: Does it come in different colors? 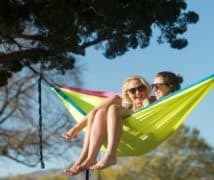 The hammock is designed for a single person but has a load capacity of 400lbs so if you do the math you will find out that it can accommodate at least two people within that weight limit. The ‘single person’ tag is mainly because of its area which may not be large enough for two persons, but if you have no issues having someone too close to you then you can easily share this hammock with a friend or loved one. 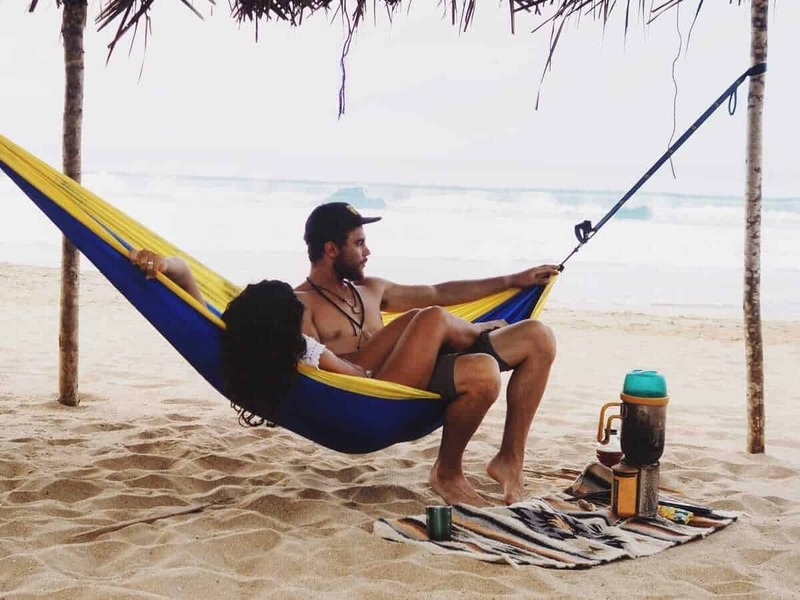 Also if you have used a hammock before then you will know that even if the hammock is designed for two people (like the double sized hammocks) its style of use (where a person falls right at the center of the hammock) may give you the feeling of being squeezed towards the center with your partner. While during winter it may not be such a problem but during the hot days, we all need our space and some air circulation. For these reasons, we recommend the single hammock for its convenience and comfort. 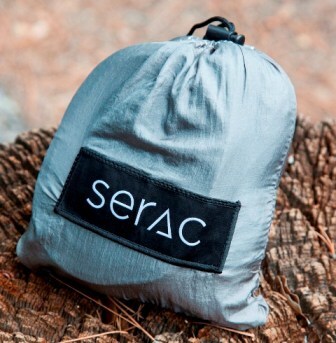 The Serac single hammock comes with a 5-year warranty which pretty much says a lot about its durability. You can now relax your mind for 5 years straight because even if you do face any issues with this product, the company’s customer care department will take care of it. However, it is still advisable to check out the warranty policy before purchase. Besides that, the hammock is also very strongly built. It is made from high-quality parachute nylon so you can be sure that the fabric will hold you safely as you hang. The hammock is secured all over with triple-stitched seams for extra strength. As you will be hanging with your full body weight above ground level, strong stitches and a high-quality fabric is very crucial. As all the safety measures have been taken to create this hammock, you can trust it to last for years. Hammocks are designed to help you relax and reduce your stress after a long day of physical activities outdoor so the last thing you need is extra stress while setting them up. Have no such fear because setting up this hammock requires only a few minutes and by following a few easy steps you will be able to have it nicely hanged between two trees or any other firm posts. 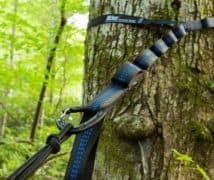 It comes with tree hugger straps that are designed with anchor points to give you the control over the height and whether you want it to hang loose or tauter. The straps are tree-friendly so if you are going to be securing the hammock between trees rest assured that you will not be causing any harm to nature. Even if you have never used a hammock before, you will find hanging this up incredibly easy and its sturdiness will make you feel secured and comfortable in no time. One other advantage a hammock has over a tent is that you can carry it around more easily. The lightweight hammock can be wrapped up and carried inside a nice portable draw-string sack. The compact packaging allows you to carry it hassle-free while you backpack across the countryside or go hiking. It is also great to safely store away when not in use, keeping the hammock in a good condition and protected from accidental tear and damage. While a tent may be great for a group of people traveling together but a hammock is ideal for those who prefer to carry less baggage and travel around for some quality time alone. Despite the amazing features and high-quality make of this hammock, you will be surprised at how affordable it is. It costs around $40 which is way less than a lot of hammocks in the market with similar quality and build. Ans: Yes absolutely. This hammock is very comfortable to sleep in and much more fun than a tent. 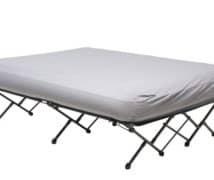 If you are a single person looking for something to lie on which you can carry around and just unpack and set up in minutes then this is the perfect item for you. 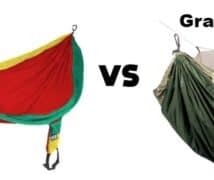 Ans: The hammock, unfortunately, does not come with a bug net but you can place a sleeping bag or a bug net inside if you wish to. As this hammock comes with an affordable price tag, you can easily purchase an extra bug net for protection against bugs and still spend less than you would on other expensive hammocks. Ans: Yes you can choose from a number of different colors so if you wish to purchase more than one hammock for your kids or the whole family then each person can have his or her own color hammock. If you love being out in the nature than there is nothing better than a hammock to give you the right kind of outdoor pleasure. Yes tents are also great as they can protect you from unexpected harsh weather which a hammock cannot but you aren’t really in the outdoors while you are inside a tent, are you? 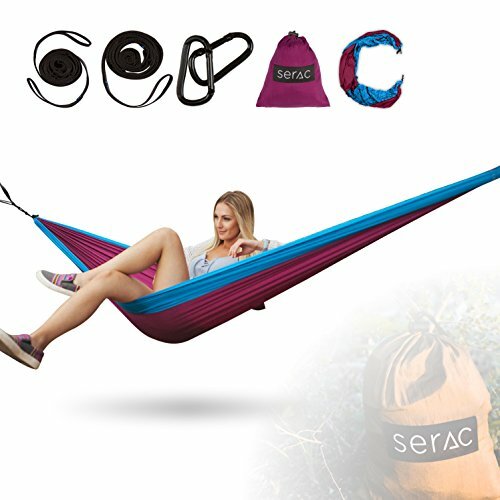 The Serac Classic Portable Single Camping Hammock allows you to really enjoy the outdoors even while taking a nap. It is the perfect camping equipment and a must-have for hikers and any nature-lover.